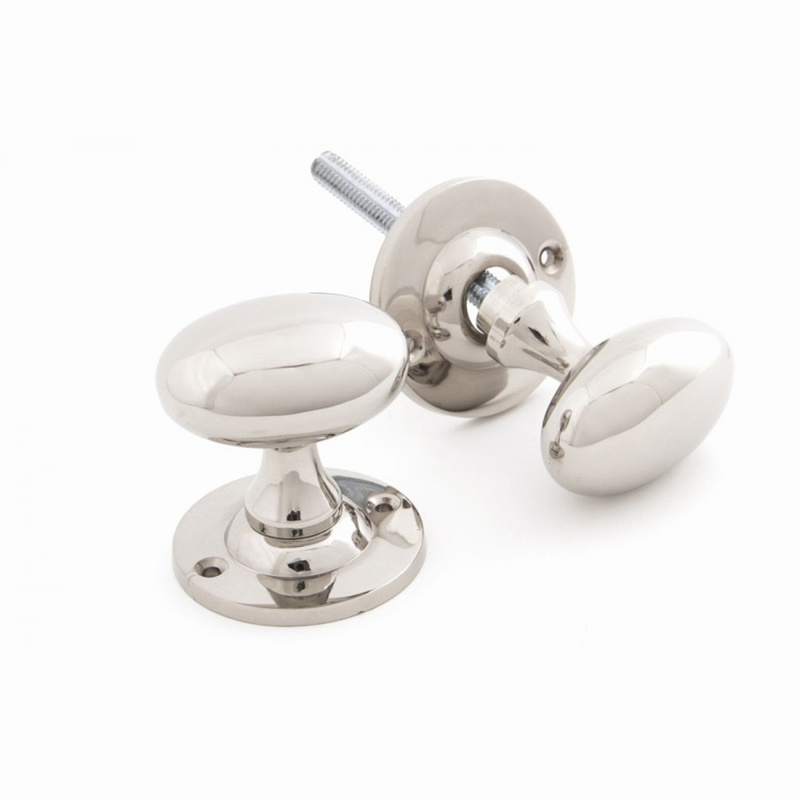 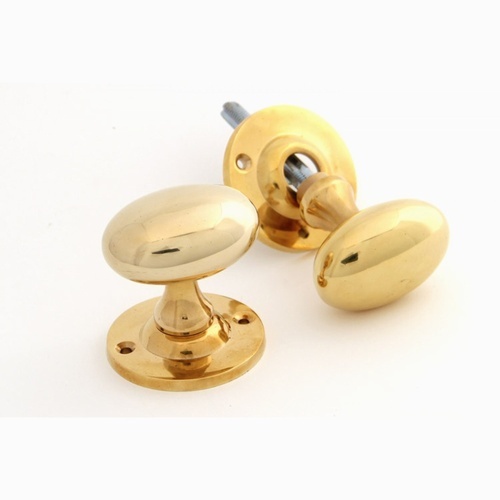 These attractive and heavy oval knobs are designed for use with mortice and rim locks. Heavy Duty latches 4'' or 5'' are recommended for maximum efficiency. 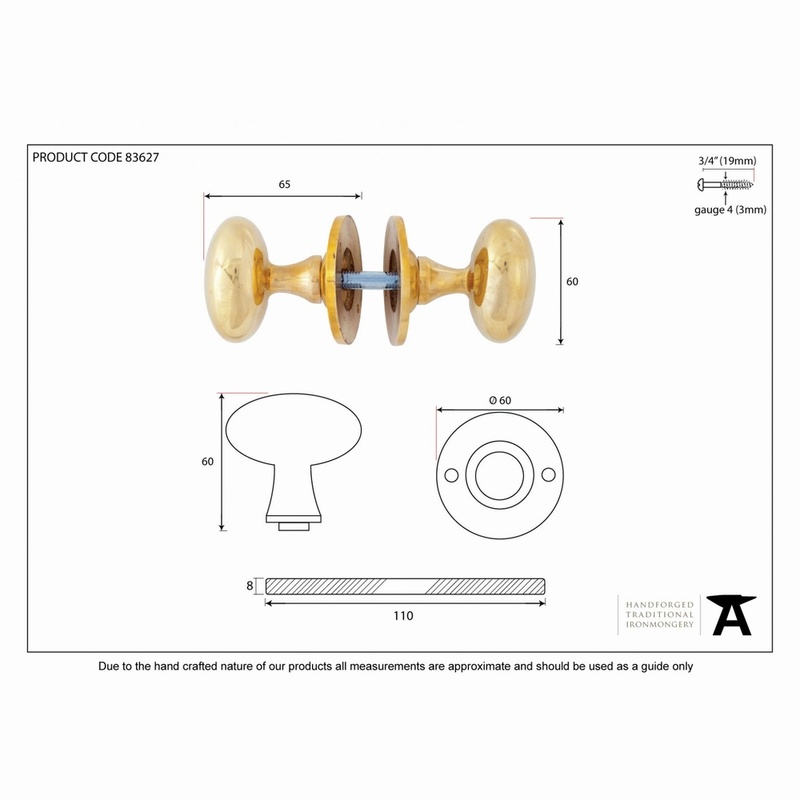 For use on door with a maximum thickness of 50mm. 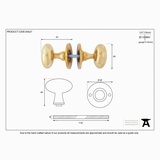 Longer spindles are available at 120mm and 140mm, please contact us if you require these. Oval knobs available in Polish Brass or Polish Nickel.